The political road to 2017 presidential elections has placed Deputy President William Ruto on a cliff hanger. The power struggle and infighting in his URP party has sent alarm bells ringing in the TNA wing of the ruling Jubilee coalition that he is not in full control of his own party. Fear within TNA and amongst President Uhuru Kenyatta’s strategists is that if the current happenings in URP are not handled firmly, this is likely to complicate Uhuru’s second State House bid 2017. Sources close to some TNA top operatives now say that they are keenly watching the political events as they unfold in URP and by extension Rift Valley. If URP loses ground in the region as political signs are showing, Uhuru has to work on plan B for his second stab at the presidency. A number of options are being formulated. First, is to have a running mate from Kalenjin Rift Valley to counter the rebellion. Here, two names crop up. One is that of Baringo senator Gideon Moi, former President Daniel Moi’s favourite son. However, the small Moi is disadvantaged on grounds that, it will be a replica of history where like his father who served the late Kenyatta as his vice, the same is to happen if he is Uhuru’s running mate. Political propaganda will then take centrestage and word that the Kenyattas and Mois are the only ones to rule Kenya will work against such a combination. In fact, the arrangement would unite Kenyans against Uhuru. 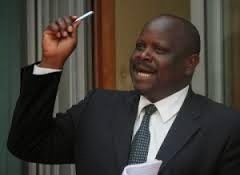 Then there are those fronting for Bomet governor Isaac Rutto to be Uhuru running mate. In fact, within URP are claims that a section in Jubilee allied to TNA are sponsoring Rutto to be an alternative centre of power in Kalenjin politics to checkmate the deputy whom they claim is not reliable and may decide to run 2017 for presidency to challenge Uhuru. It has now emerged that the ruling Jubilee coalition has been facing serious power struggles pitting members of the two main parties - URP and TNA. 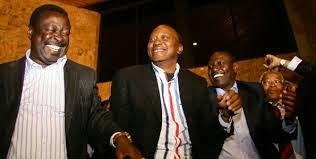 Whereas while in public, they pretend to be reading from the same script, it has been established that Uhuru and Ruto’s troops have been secretly involved in fierce undercurrent political games to surpass each other. The bone of contention is a claim that TNA has been secretly supporting Rutto to destabilise URP. Recently, some URP MPs went public and declared that Rutto is enjoying the support of crucial figures within TNA in a bid to measure DP’s influence in Rift Valley. At one time, Uhuru hosted Rutto and some governors from the region at State House without involving his second in command. This according to URP sources was meant to humiliate the DP. The general belief among URP leaders is that the war between the DP and Rutto is a politically-sponsored supremacy contest between the two and which allegedly enjoys the backing of sections of State House. It has also been whispered that the plot to register a new political party to counter URP is a plan by Rutto which enjoys the backing of State House. Some URP MPs have been heard bragging that URP is more national than TNA which is only in the Mount Kenya region. In what is now being seen as a counterattack mission by the DP recently, Adnan Duale the majority leader in parliament took Rutto head on in the presence of DP who was seen smiling as the two leaders traded harsh tirades. 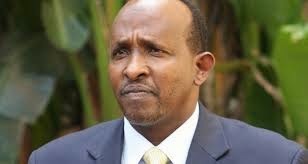 Duale, spewing undiluted venom, is believed to have been on a revenge mission against Rutto on behalf of the DP. Sources say that some URP MPs are now demanding that the coalition should call for a joint parliamentary group meeting to sort out problems among the coalition partners. It is feared that the meeting is likely to produce political fireworks as TNA and URP MPs continue to fight in public. 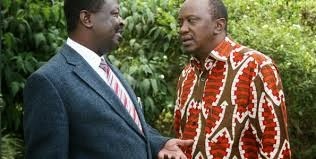 Incidentally, Rutto factor is also emerging in Cord whose leader Raila Odinga is understood to be out to strike a political deal with Rutto to win the Kalenjin side and may decide to have him his running mate and even back his presidency the way he did with Kibaki in 2002 to teach Uhuru and Ruto a lesson. 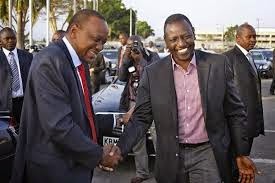 The pro-deputy president allies openly say it is not a guarantee Uhuru will back Ruto to succeed him in 2023. They are now even openly complaining that Uhuru declared he will defend his seat without consulting his deputy. It is on these grounds that Ruto has never openly come out to support the president’s second bid in 2013. Aware that Uhuru may desert him at the hour of need, Ruto has engaged in building his own power base even in Central province where he has been a regular visitor doing harambee meetings and attending church functions. In fact, Ruto has been more often in Mount Kenya region since Jubilee took over the reigns of power than Uhuru himself. Ruto’s continuous visit in the region with a group of his Sky Team has not been received well by current elected politicians. They say just like he has not allowed TNA to make inroads in URP dominated areas, he should also keep off TNA zones. URP zone where Ruto does not want TNA to venture is Narok and where area MP Kenta ole Moitalel has been breathing fire and brimstones. 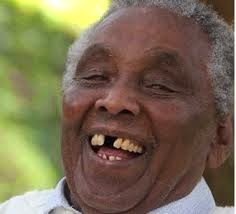 He blocked the defection of William Ntimama at State House where Uhuru was to have received them. Outside Rift Valley, Uhuru option is Musalia Mudavadi. Of late, Mudavadi is said to be out to ditch his UDF party with claims he has support of a section at State House is rife. Mudavadi is seen as more saleable to Mount Kenya region than Ruto. This is a nightmare for the deputy president who will do all that is at his disposal to block any moves against him. Coming from the Luhya community and with rebellion looming against both Jubilee and Cord in the region, the area vote is bound to matter come 2017. Uhuru argument can be, in 2013, I had stepped down for Mudavadi only for Ruto to force me back in the race. Mudavadi was Uhuru’s running mate in 2002 when Moi endorsed him as his heir. Mudavadi had served as Moi’s vice president prior to the 2002 general elections for three months. Keen observers will have noticed that Uhuru has of late been spending more nights at Kakamega State House than Eldoret. Analysts say the head of state is out to endear himself to the community more than any given time. When he attended the burial of Harrison Okang’a Makaka, brother of the Kenyan High Commissioner to Uganda Jeff Okang’a, who perished in the Utawala air mishap, many read Uhuru’s determined outreach mission to the community. Uhuru is said to have no problem with Luhyas but his deputy is accused of blocking them from key government appointments. In fact, the Mudavadi option just like the way it was pushed in the Kibaki regime is gaining popularity within the Uhuru team, they want him to be his running mate in 2017 and eventually succeed him. Those selling the idea say presidency should not only be for Kikuyus and Kalenjins. Surprisingly, all the options are being worked on while putting in mind the International Criminal Court proceedings, and whether Ruto will be found guilty or not, is neither here nor there. 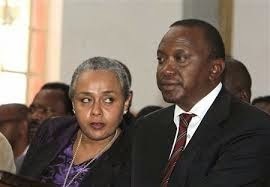 However, with the ICC trial chamber V (B) which is handling Uhuru’s case giving orders that he appears for the status conference on October 8, neither the president nor his deputy is safe after all on face value. 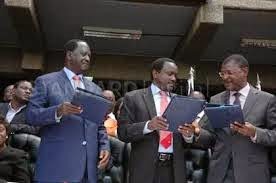 The open defiance on the referendum campaign from a sizeable number of county governors from his URP wing of the Jubilee coalition places the DP in a big political dilemma and internal jolt. First, it might show that he is not in control of his own turf, which would greatly undermine his position and clout in the power-sharing deal under which Jubilee was founded. 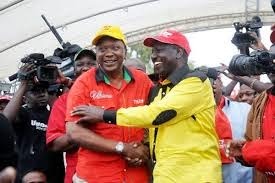 The unfolding scenario also serves to fuel suspicion amongst Uhuru’s TNA loyalists that Ruto might be playing a double-game, expressing support and loyalty in public while secretly sponsoring rebellion from within the URP base. The truth of the matter, according to some close Ruto allies and who are now his political detractors is that the erroneous belief of URP among members of the Kalenjin community was founded on propaganda and lies and now the time has come for the delivery of the election pledges yet nothing is forthcoming. It is for this reason that the URP leaders are fighting among themselves with the DP as the main target. A plot to clip Ruto’s political wings and to render him politically irrelevant in 2017 has been hatched. Rutto is the man leading the onslaught against Ruto. 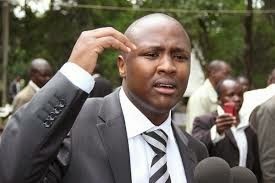 In his team is the youthful outspoken Nandi Hills MP Alfred Keter, his Kuresoi counterpart Zakayo Cheruiyot, a former key player in Moi’s government. To show how Ruto’s political detractors are serious with their plans to tame him politically, we have information that a new political party is on the way to rival his URP. It is this new party that if all goes well as planned, will send him to the political dustbin ahead of the 2017 general elections. The Kalenjin rebels who have been burning the midnight oil scheming say the new party will be the final nail on Ruto’s political coffin and will send URP out of Rift Valley. Sources say the brains behind the new party have proposed the name Chama Cha Ugatuzi (Party of Devolution). It has been alleged that the yet to be formed party has the backing of Raila. Others say that professionals and prominent businessmen against a new party want to revamp and rejuvenate Kanu. In the last elections, Kanu won seats in Rift Valley-dominated Kalenjin land where URP was the party of choice. The deputy president does not get on well with the Moi family and if given the opportunity, the affluent Moi family can spend a fortune to neuter him. Back to the plot to kick out Ruto from power, the move that seems to have been well orchestrated first saw Keter take Ruto head on with claims that the Kalenjin community was being shortchanged in state jobs. Keter’s attacks on Ruto did not end in state appointments, he went on further to allege that there were multi-billions shilling scandals in the Jubilee government. Keter once again launched a scathing attack on Ruto, accusing him of betraying the Kalenjin community in the Jubilee coalition. Keter accused the deputy president of being a renegade and responsible for the removal of Kiplimo Rugut from the National Youth Service and vowed that he would not be silenced when it comes to fighting for the rights of the Kalenjin community. He then passed on the baton to Rutto who has ever since given the DP sleepless nights and political nightmares. It has, however, been whispered that Rutto’s continued attack on the DP is a gameplan by some TNA officials to have him keep the DP politically busy and on his own toes. 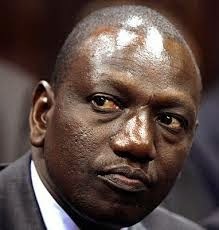 For the better part of this year, Ruto’s political star has continued to dim by day. Analysts say he has suffered a major political setback by losing some support from the populous Kalenjin community through a well-orchestrated campaign to discredit him. 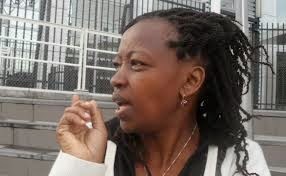 It has also been whispered that the plan to politically kill the DP involves even URP MPs, MCAs, senators, businessmen and governors and shockingly even a number of TNA politicians who believe the DP is not helping Uhuru contain Cord’s mounting referendum pressure. Sources say that the Kalenjin rebellion is a threat to the DP’s political future and that he is aware of the plans to discredit him. Those from TNA now say that what is happening in URP is the beginning of problems for Jubilee and this means that Uhuru will not have the Kalenjin vote come the next elections. What is now worrying most is that even people believed to have been close to the DP have all rebelled and that the impression and of course the reality now is that the DP is out of touch with his main support base. Going by recent political events, the DP has ceded ground for the rebel Kalenjin leaders and going by the pace at which he is losing ground, his political future hangs in the balance. 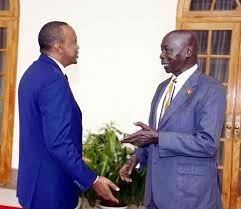 To begin with, to show how troubled Ruto is, last week, he hosted a number of Kalenjin politicians in Nairobi where sources revealed that he pleaded with them not to rock the Jubilee government. At the meeting, the DP was taken to task for failing to convince his own governor Cleophas Lagat and his Kericho counterpart Paul Chepkwony to drop their referendum calls. But analysts now say that trouble for DP did not start with the referendum calls. Rutto has been all along going against the DP’s directives more so on national issues. Recently, his supporters and the DP’s supporters clashed at a Bomet church over calls for a referendum at a function attended by the two leaders. The rival camps turned the church fundraiser at Marinyin Catholic Church in Bomet Central into a shouting match after Kericho senator Charles Keter took to the podium. Keter and four other senators had led 12 MPs in dismissing calls for a referendum by the Council of Governors headed by Rutto. It was during the meeting that Rutto told the DP to his face that the Jubilee government is lying to Kenyans and resorting to threats instead of embracing dialogue. “As governors, we have been asking what the people on the ground are telling us. This should not be taken to mean that we have personal differences with the deputy president,” he said. “We need to think seriously as a nation and stop trying to portray governors as supporting Cord. We are in Jubilee and will continue pushing for referendum if the government will not tell Kenyans the truth about the percentage they allocated the counties,” Ruto added. But it was the DP’s righthand man Senator Keter who was forced to cut short his speech as the rowdy crowd shouted him down, asking him to declare support for the Pesa Mashinani or go back to Kericho. When the Bomet governor took to the mic, he demanded that every leader must show respect to others and avoid using derogatory language when advancing their agenda. “If you want us to end this meeting, continue with such disrespectful language,” warned the governor. Another incident where the DP was humiliated was in Kajiado county when Jubilee MCAs and MPs traded accusations as the DP watched. It was the Oloolua ward rep George Nyoike who started the war when he attacked Governor David Nkedianye whom he accused of doing little in developing the county. Nyoike, commonly known as Kifaru, had ordered worshippers to have a glance at the church entrance and witness “flowers” welcoming the deputy president. The flowers he meant were definitely Ngong garbage. He said that the governors should use money allocated to offer services before demanding more through a referendum. “I wonder how he will convince residents to vote for the referendum for allocation of more funds before handling the garbage issue,” Nyoike said. 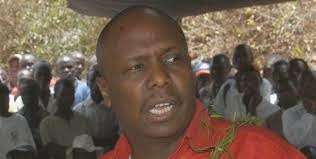 It was during the church function that some MCAs allied to Jubilee announced that Kajiado MCAs will not support the Pesa Mashinani referendum, citing the battle between majority 25 Jubilee members against only two Cord members in the Kajiado assembly. Drama further unfolded when the governor was taken to task by residents who demanded that he declares his stand on the referendum, but the governor pushed the demand aside saying he would not talk politics at a church event. Last week, the power struggle in URP took a new twist at the Maasai Mara University grounds after the Jubilee majority leader Aden Duale said Rutto has failed to account for Sh184m meant for development of Bomet. The afternoon drama took the DP and the Tanzanian delegation by surprise. The Mara Day celebrations in Narok county started off well but later turned into a political supremacy battle between Ruto and Duale. Duale, a rubble rouser had accused Rutto, alongside his Kiambu and Kisumu counterparts William Kabogo and Jack Ranguma of snubbing summons by the Senate to answer accountability questions. “You can run around the country, you can call for referendum but one day you will appear before the Senate. Isaac Ruto, you must appear before the Senate,” said a charged Duale. It took the intervention of Narok governor Samuel Tunai, Senator Stephen ole Ntutu, county commissioner Farah Kassim, MCA Kuya ole Kijabe and the deputy president’s security officers to persuade Ruto to go back to his seat. When the DP took to the podium, he extoled leaders to be mindful of what they say and do because they lead millions of Kenyans. “Some governors have teamed up with the opposition to distract us from delivering on our pledges. This is an exercise with a political agenda and not meant to improve the lives of Kenyans,” said the DP. There have been murmurs that the DP has been using Duale to attack rebel URP leaders from Rift Valley and this has not gone down well with Kalenjin leaders. Others have been whispering that the DP is also known to use the Senate majority leader Kithure Kindiki to attack rebel Kalenjin leaders. What is worrying now is that even the DP has not talked of the incident as section of Kalenjin leaders continues to pile pressure on Duale to apologise to Ruto of which Duale has said he has nothing to apologise to the governor about. Another big headache for the DP is the resettlement of the evictees from the Mau Forest. Analysts now say that the matter which has now taken a political dimension is likely to determine the fate of URP in the vast Narok county. The matter is now proving to be a hot potato for Ruto who has been promising the locals that those evicted would be compensated and resettled. Residents led by one Philip ole Koila who is one of the members of URP say that the party will lose ground if the matter is not handled properly. The DP, it is said, is being misled by Tunai on issues affecting the Maasai community. The Maasai community across the political divide are against the compensation of settlers who encroached into the forest with the intention of grabbing the Maasai Mau Trust Land that belonged to the pastoralist community. Recently, the DP said that the national government was going to recover the forest and provide alternative land or compensate the settlers in two years’ time. The governor is now warning the DP that Mau is one of the issues that sent Raila home and is likely to have the same effect on him and by extension the Jubilee government.